Happy Valentine’s Day! I hope you all are enjoying the day and taking time to celebrate the love you have in your life, whether it’s a significant other, your family, children, or friends. 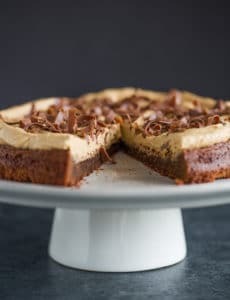 If you’re making a special meal tonight and are stumped about what to have for dessert, or are scrambling for something quick and easy, this decadent beverage-turned-dessert certainly fits the bill. While you don’t actually bake hot chocolate (I think you would just end up with really hot hot chocolate, right? ), I love the cute play on words and that you bake these in individual mugs. Warm from the oven, this is a cross between a very moist brownie, a baked pudding, and a chocolate soufflé. Basically, it’s one of the most amazing chocolate concoctions I have ever baked up. It’s quick, it’s easy, it’s rich, and it’s the perfect way to cap off just about any meal. My Chief Culinary Consultant gets the Wall Street Journal and I usually browse through it every day or two; I usually stick to the main news section, the Marketplace section because there tends to be a lot of tech-related stories in there, and the Personal Journal section at the end, which is right up my alley. That’s the “fun” section, and in the weekend edition it’s loaded with all sorts of recipes. I’ve started clipping favorites, and a few weeks ago my CCC caught this as he was reading through the paper and brought it to my attention. We both thought it sounded fabulous and couldn’t wait to try it. What better time than for Valentine’s Day, right?! We both gave it two big thumbs up; I hope you enjoy it as much as we did! What’s on your menu for tonight? 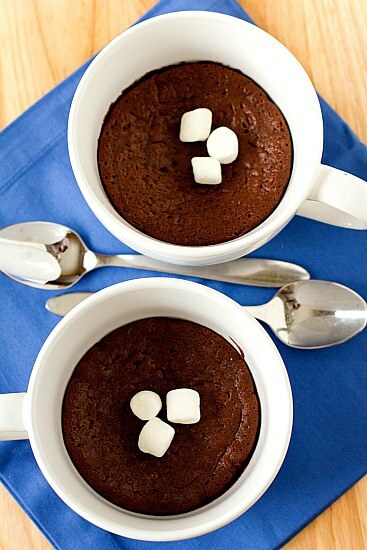 Preheat oven to 350 degrees F. Arrange four 1-cup ovenproof mugs or 8-ounce ramekins in a baking pan or roasting pan. Melt the chocolate and butter together in a double boiler set over barely simmering water. Whisk occasionally until smooth. Remove from heat and set aside. Stir the eggs and sugar together in a mixing bowl, then set the bowl over the simmering water. Stir until warm to the touch. Remove from heat. Beat the egg mixture with an electric mixer on medium speed until light and fluffy, 3 to 5 minutes. Gently fold the egg mixture into the chocolate mixture. Divide the batter evenly into the cups. Add enough very hot water to the baking pan to come halfway up the sides of the cups. Bake until the tops lose their glossy finish, 15 to 20 minutes. Carefully remove the cups from the pan. 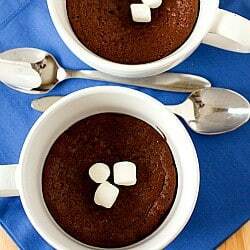 Serve warm or at room temperature with marshmallows or whipped cream, if desired. You can refrigerate the baked hot chocolate for up to one day. To reheat, bring them to room temperature and then set in a 350-degree oven until warm, about 5 minutes. Quick, easy and very good according to my husband on Valentines Day. I only made 2 using 1/2 of each ingredient. Turned out great! Topped ours with a drizzle of cream & slivered almonds. Would I make it again? Maybe. 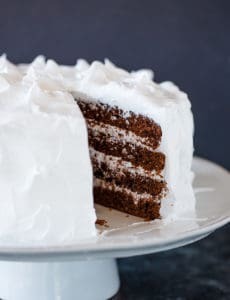 can i substitute cocoa powder for the chocolate? i dont have good quality chocolate available in my region..
Hi JoJo, You won’t be able to duplicate the consistency of melted chocolate with just cocoa powder. 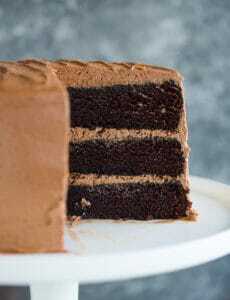 You’d have to do a combination of unsweetened chocolate with cocoa powder and sugar. yum!can’t wait to try this. I thought this would be supper easy to make——-wrong. Well for me it wasn’t, don’t know about anyone else. And when it came out, I don’t know if I did anything wrong but it just didn’t taste good. This recipe needs to take an express train to my belly. I am so going to make these soon. I am so jealous about how you come up with all these awesome recipes. This is positively perfect! Going to make a brilliant dessert for my next dinner party or potluck! Oooh yum, what a fun idea! 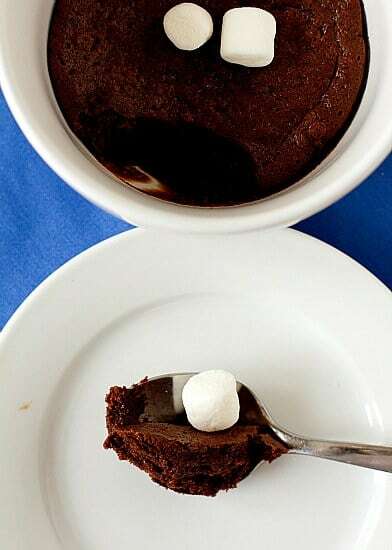 I made Ina’s brownie pudding for our Valentine’s Day dessert, and it was awesome, but I love the smaller portions here. I made a really similar recipe last night for Valentine’s day only I baked them in little ramekins, I wish I would’ve seen your post earlier, this is such an adorable idea! And I love the title with the little marshmallows, too cute! This is so fun and different. 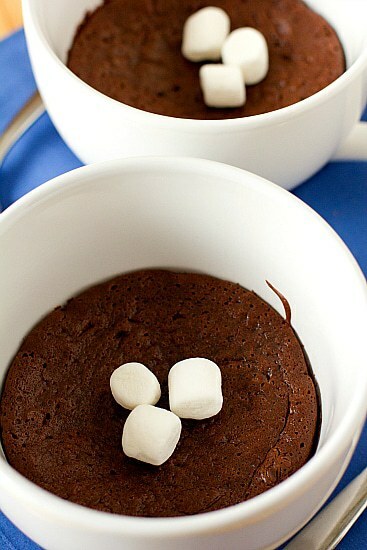 Love the idea of dessert in a cup. Looks delicious. I don’t care what form my chocolate comes in… so long as I have it, everything is good. I’ve never tried “baked hot chocolate”, but considering the ingredient list, I’m sure I’d love it. Just found your website this evening and your recipe for Cranberry and Walnut Roll. Can’t wait to try this recipe along with your Babka bread. Looks yummy. Thanks for a wonderful website. Happy Baking and can’t wait for the drum roll (Kitchen Aid Mixer). PS. Have you upgraded to a Canon 50mm 1.4? Are you happy with the 1.8? Looking to buy my first prime. I too have a Canon Rebel t2i. Eyeing the Sigma leaning on Canon. PSS. I have a Baklava recipe I’ve used for over 13 years if you are looking for one. Hi there! I actually have upgraded to the 50mm 1.4, but just about a month or so ago. I love the 1.8, I think it’s a great starter prime, I highly recommend it! V-day is the best excuse ever to make something rich and decadent….and then possibly share with someone else. Divine. Oh, this does look delicious! I had no idea the WSJ carried recipes….thanks for the tip!